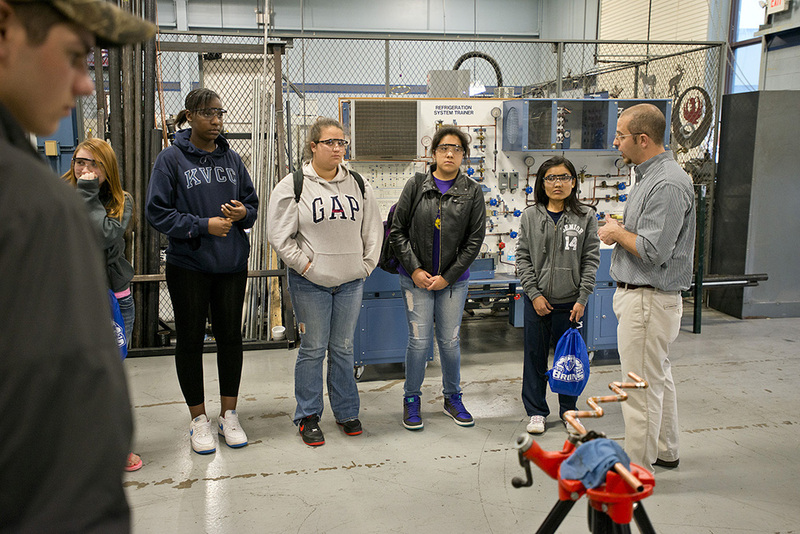 Kellogg Community College will host a free career day this month this fall for girls in sixth through ninth grades who are interested in pursuing technical or trades careers. The Girls Technology & Trades Career Explorathon, cosponsored by KCC’s Bruin Bots youth robotics program and the American Association of University Women, will run from 8 a.m. to noon Friday, June 20, at the KCC’s Regional Manufacturing Technology Center, 405 Hill Brady Road, Battle Creek. The interactive event will include demonstrations and information about careers in electricity and electronics, industrial technology, instrumentation, machining, renewable energy, robotics, tool and die, welding and more. Participants will have the opportunity to participate in hands-on activities, including the use of Lego robotics kits; see a 3D printer in action; and hear from a selection of local women who are enjoying successful careers in fields that have traditionally been dominated by men. While the event is free, space is limited and participants are encouraged to register early. To register, call 269-965-4137 or email rmtc@kellogg.edu. Registration forms can be downloaded online from www.kellogg.edu/community/bruin-bots/activities. For more information, contact Kim Andrews-Bingham at andrewsk@kellogg.edu.